Looking for a trusted Removal Company to help move to Cornwall ? Central Moves are one of the London’s top removal companies for Removals London to Cornwall who combine specialisation with our total commitment to providing a professional and personalised service, which this is why thousands of families and individuals have entrusted Central Moves with their Cornish home removals, furniture removals Cornwall and personal effects. Here at Central Moves we pride ourselves in aiming to be the best Removal Company to Cornwall . 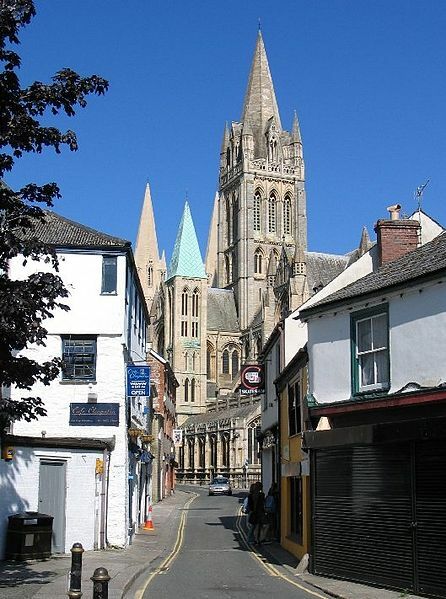 Removals to Truro, Removals to Penzance, Removals to Newquay, Removals to St Ives, Removals to Padstow, Removals to Falmouth and many more..
Cornwall’s only city, and the home of the council headquarters, is Truro. Nearby Falmouth is notable as a port, while other ports such as Penzance, the most westerly coastal town in England, St Ives and Padstow have declined. 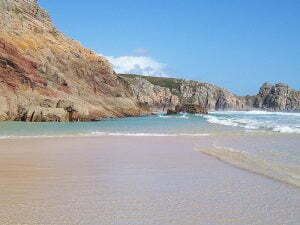 Newquay on the north coast is famous for its beaches and is a popular surfing destination, as is Bude further north. 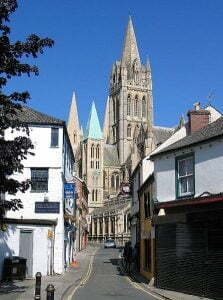 St Austell is Cornwall’s largest town and more populous than the capital Truro; it was the centre of the china clay industry in Cornwall. Redruth and Camborne together form the largest urban area in Cornwall, and both towns were significant as centres of the global tin mining industry in the 19th century (nearby copper mines were also very productive during that period). The major city of Plymouth being the large urban centre closest to east Cornwall has made it an important location for such services as hospitals, department stores, road and rail transport, and cultural venues. Central Moves have relocated many Businesses , individuals and families to Cornwall over the years. Cornwall offers a unique lifestyle with breathtaking scenery, world renowned beaches and a huge range of outdoor activities. It is one of the most beautiful parts of the country with a great natural and historic environment to enjoy. The amazing natural landscape offers crashing waves and dramatic cliffs alongside peaceful woodland and riverside walks plus 440 miles of unspoilt coastline of which 220 miles are protected by the National Trust. There are 12 designated Areas of Outstanding Natural Beauty and numerous Sites of Special Scientific Interest. Cornwall is one of the poorest parts of the United Kingdom in terms of per capita GDP and average household incomes. At the same time, parts of the county, especially on the coast, have high house prices, driven up by demand from relatively wealthy retired people and second-home owners.